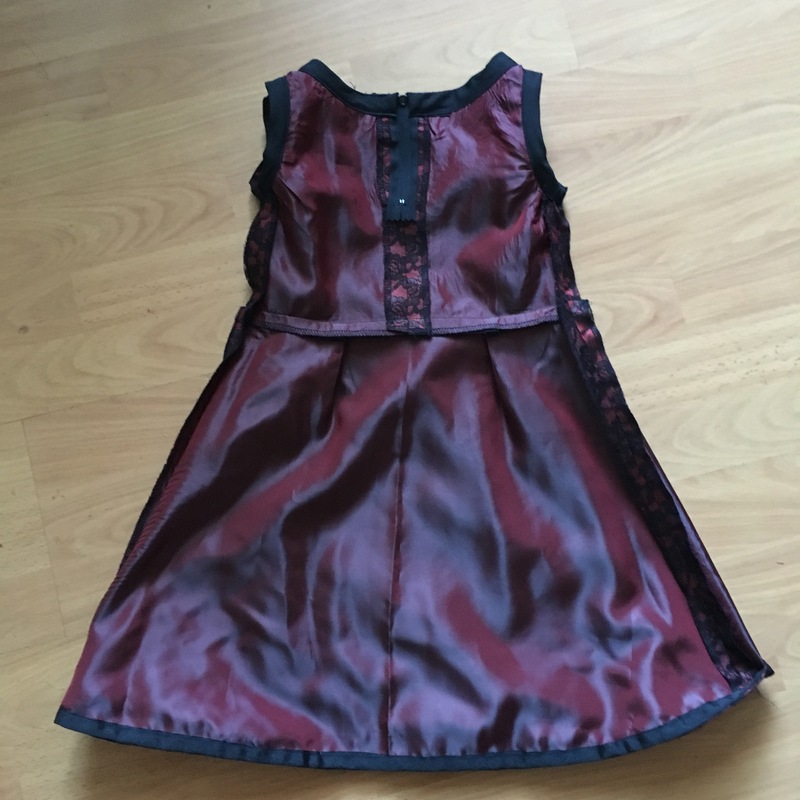 Undeterred, I am getting an early start on making Christmas dresses for the little girls we know (whether they like them or not!). 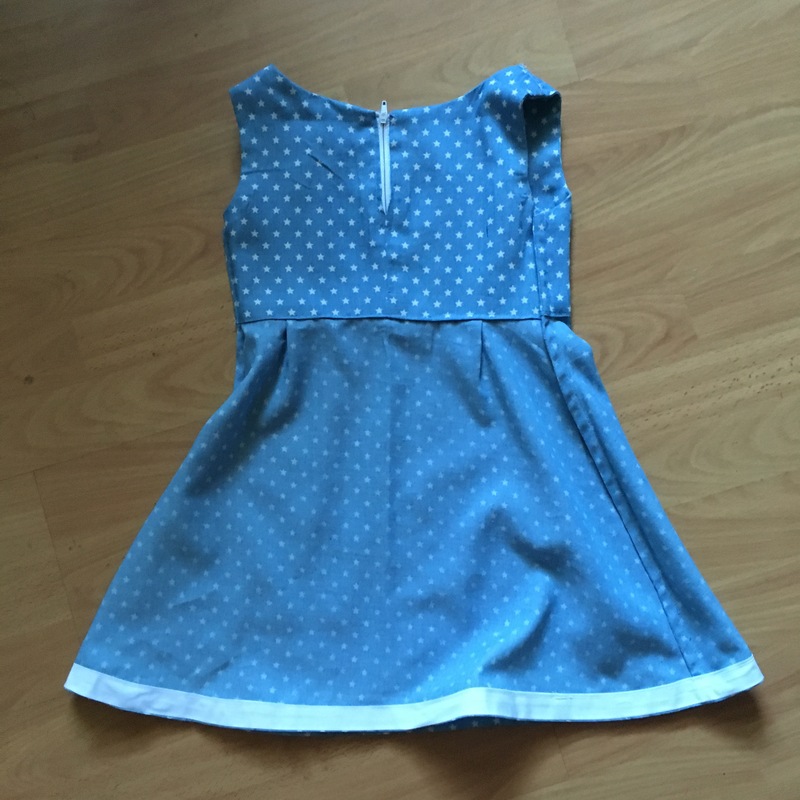 I chose the girls dress pattern from the second Sewing Bee book ‘Sew Your Own Wardrobe’ as this seems to be the only girls dress pattern I have. It’s pretty simple: lined bodice, unlined skirt, zip in the back, faux button shoulder closure. I traced out all four sizes to cover my age ranges. As I traced them I noticed the sizing: 3-6. 6-9. 9-12. 12-18. Really…? 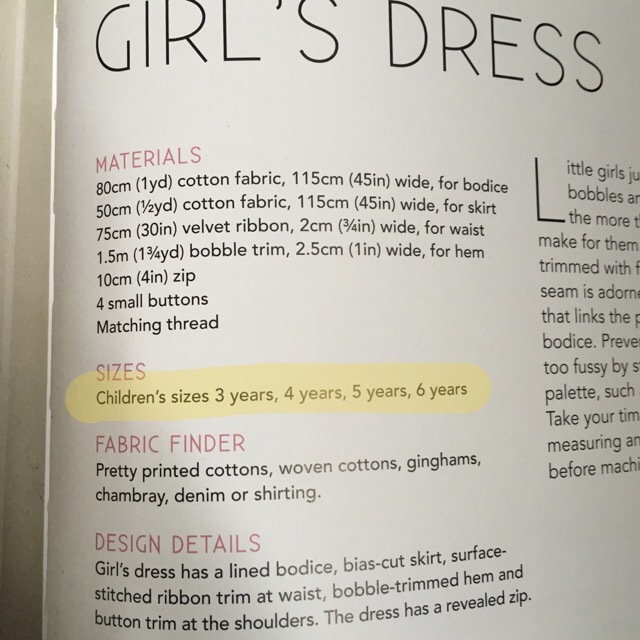 Four sizes to cover age 3 to 18…? … Months… Years…?! That doesn’t seem right…. This is the second largest in what I think is a chambray. I followed the instructions almost word for word and it barely took an hour (just the hem to go in this picture). I couldn’t find the right ribbon so I left it off. And I poked the back shoulder into the front and sewed it together rather than make the faux button. I saved the side seams til last and French seamed them. … Now, I’ve just got back from a lovely supper in Covent Garden with MrA, two of our dearest friends up from Kent and their two girls, age 9 & 11. We held the dresses up to the girls, and everyone was thrilled. That wasn’t enough for me and I insisted trying to pull them over their heads before we left. That’s where it all fell a bit flat. The zip at the back doesn’t go beyond the waistline, so you have to squeeze your girl, head, arms, shoulders through the waist to get it on. Now, these are skinny girls, raised on a frugal diet of edamame beans and ballet, but there was no way these dresses were going on. No way in hell. 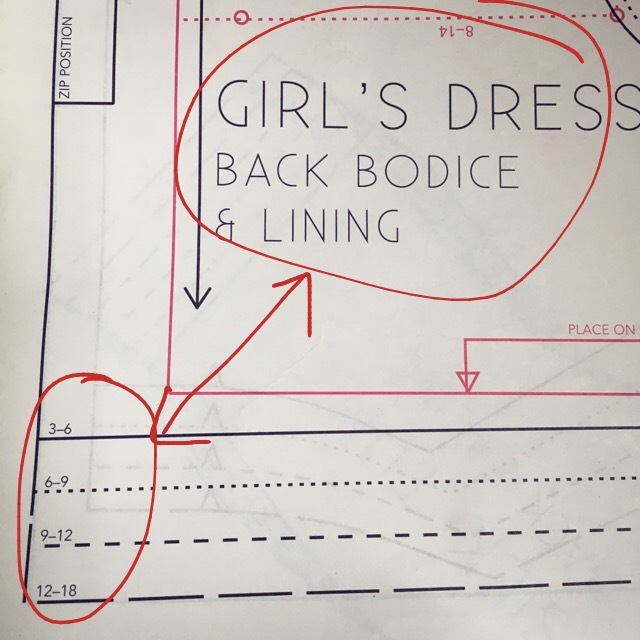 Obviously they have printed the sizes for the baby’s dress onto the girls dress pattern. How anyone could think 1m of fabric could sufficiently cover an 18 year old is (now) beyond me! I should have smelled a rat and now I’m paying for it. 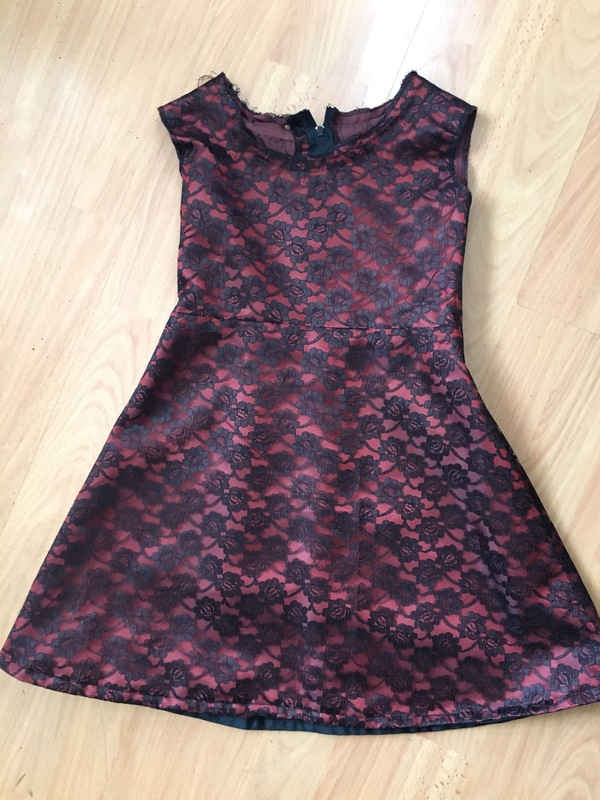 I have just attempted to squeeze a 9 & 11 year old into dresses for 5 & 6 year olds. Oops. In the meantime, how about a new shirt, all for me…? Read the pattern sizes properly. There can sometimes be printing errors, do not trust blindly after reading only half the information. Next Next post: Mint Choc Chip…? I have a couple of the Sewing Bee Books and there seems to be quite a few printing errors and sizing confusion, I bought the newest one especially for the palazzo pants but like you I gave up and bought a regular pattern. No consolation I am sure but you are not alone in finding those books somewhat pretty but useless. At least I know it’s not always me when something goes wrong. But I should have looked into it before, not after! I’ll be more vigilant in the future! 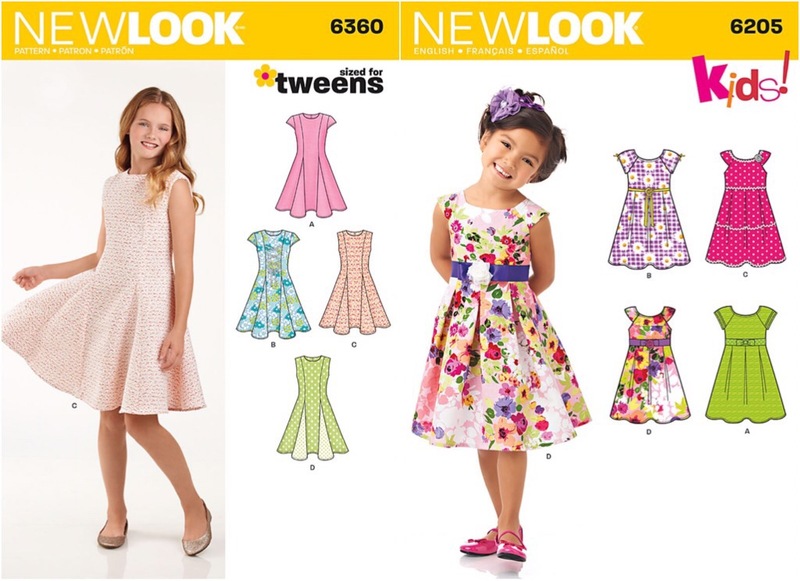 Oh dear… but still they are really nice dresses that I’m sure a younger, smaller child would love 😀 I actually have the New Look Tweens pattern for a young lass who wants to learn to sew. She chose 2 poly cotton fabrics to make herself and her friend one each. Brilliant, thank you. I’ll d finitely give those tips a go. 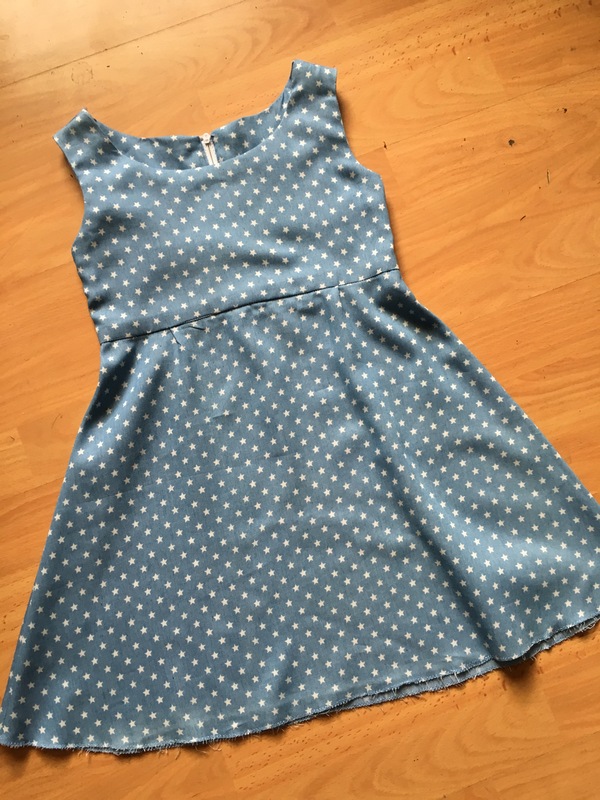 I need to practise more with my overlocker… Make friends, you know? Lol! Thinking seems overrated at times. At other times it clearly is not. So the I’ll fitting dresses, what will you do with those? Donate to charity? I’m sure there are some kids out there who’d love them. Good thing you knitted on trying the dresses on, who knows – they might just be too polite to tell you you seriously missed the mark. Enjoy your new patterns! Thank you. I’m going to try and find a 5 and 6 year old for them! If not, the younger nieces can grow into them!